The wondrous thing about magic, and J.K. Rowling's Wizarding World, is that anything can and usually does happen. Rowling made us wait five whole years before she returned to the Potterverse for Fantastic Beasts and Where to Find Them, and while we were just as spellbound as before by her fun, creature-filled spinoff it was clear that she had missed being away more than anyone. 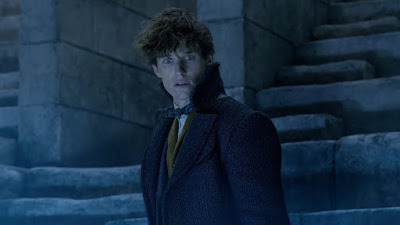 What had looked like an airy return to the franchise, led by Eddie Redmayne's quirky magizoologist Newt Scamander, was a densely-plotted bit of fan service, with Rowling tugging on every loose thread that had ever seen ink in one of her books. Anything that could happen, did happen, and in the messy but often dazzling Fantastic Beasts: The Crimes of Grindelwald, Rowling rains down so much lore we may need a semester at Hogwarts to keep up. The sequel, which is still a much earlier prequel to the Potter years, picks up shortly after the controversial conclusion to the prior movie. Controversial in casting, mind you, not in plotting, as Johnny Depp was revealed to be the villain Grindelwald, when he had been played by Colin Farrell up to that point. Unsurprisingly, Grindelwald has escaped from his magical confines and let loose on a path of destruction, which he believes can only be completed with the help of the destructive orphan Credence (Ezra Miller), who is desperately in search of a family to call his own. The rest doesn't so much unfold as apparate like a traveling wizard. Rowling drops us right back into the life of the pacifist Newt Scamander, who is more concerned with caring for his many amazing creatures than he is marching off to war with Grindelwald. Why he's chosen by a young Albus Dumbledore, played with impish charm by Jude Law, is anybody's guess. 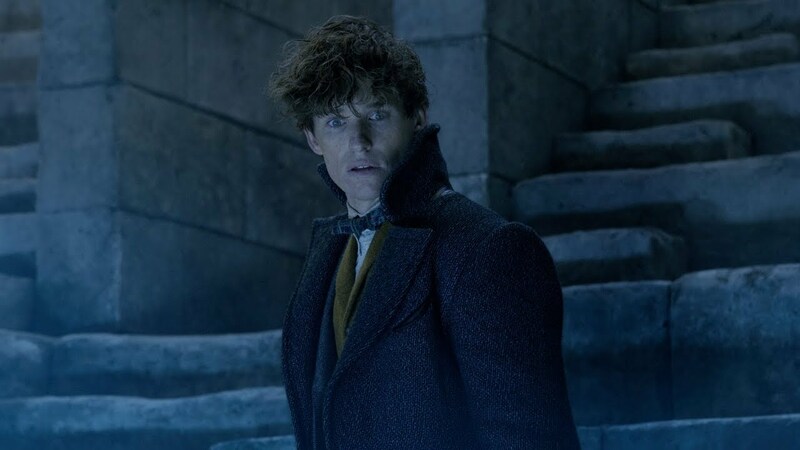 Newt is quite against it; Dumbledore even admits his former student can't take orders very well, and when pressed by his auror brother Theseus (Callum Turner) to join the fight, Newt flatly says "I don't do sides." So...uh, why do they need him again? Newt's also still holding a torch for Ministry of Magic investigator Tina Goldstein (Katherine Robertson), who along with no-mag buddy Jacob (Dan Fogler) join the hunt. They must not only find Credence to thwart whatever plan Grindelwald has, but they must also locate the wayward Queenie (Alison Sudol) who may have fallen in with a bad element. This is only the barest drop of the complicated potion Rowling has stirred up. Newt's journey takes him from New York to Paris and London, with all sorts of fantastical places that exist between the folds of our reality. And yes, we even get to pay a visit to Hogwarts itself, which comes with its own share of Easter Eggs for eagle-eyed muggles. A magical traveling circus of oddities is a special treat, bringing a Tim Burton-esque sense of the macabre and twisted. So much is going on that the story barely stops to allow us to catch a breath. With a story is complex as this with a couple dozen characters to follow (including some welcome surprises best left unspoiled) it can be exhausting just trying to keep up. And then Rowling and director David Yates will pull something jaw-dropping out of their hat, or out of Newt's suitcase. Whether it's the sea dragon Kelpie, those thieving but adorable Nifflers, the Chinese-born Zouwu, or Newt's trusty bowtruckle pet Pickett, the film lives up to the franchise's moniker. That said, the human characters could all use a little more attention. There are just too many to follow, and some I haven't mentioned are especially important, or we know they will become important. Rowling, in her second outing as screenwriter, doesn't bother holding anybody's hand. Either you're up on your Wizarding mythology or you're not, and that includes reading every page of every book she's written in that universe. I found myself anxiously waiting to learn every new character's last name, because names have real value in the Wizarding World. Rowling has also matured her writing to match her audience, who are no longer children fascinated by the idea of a Quidditch match. This is a very dark, violent movie with shocking twists and startling deaths. I think it's fair to call this the Empire Strikes Back of the series but considering her five-movie plan perhaps that's a poor comparison. Adding to the mature theme is a tease of the past relationship between Dumbledore and Grindelwald, one that possibly crossed from friendship into something romantic. How far Rowling plans to go with that will be one of the most intriguing questions going into future films. That Rowling explicitly invokes the Holocaust in one scene shows that she is willing to step into more adult territory and draw some stark parallels. While undoubtedly chaotic, Fantastic Beasts: The Crimes of Grindelwald creates a strange, wonderful world overstuffed with the exacting details we've come to love and expect from Rowling. She continues to weave a captivating spell that shows few signs of fading.